The Republican Party loves Donald Trump. According to a NBC News and Wall Street Journal poll, Trump will face an uphill battle in the 2020 election. The strong support of the Republican Party––nearly 90% of Republicans say they approve of the president’s job performance––means, however, that the 2020 race will be another very close one. While that short-term outlook for the presidency may not be that bad for the Republicans, the long term prospects for the whole party may not be that good. Case in point: Trump’s recent performance––that may be the best word for it––at the Conservative Political Action Conference (CPAC). The Republican Party as Tyler knew it, in short, is dead. 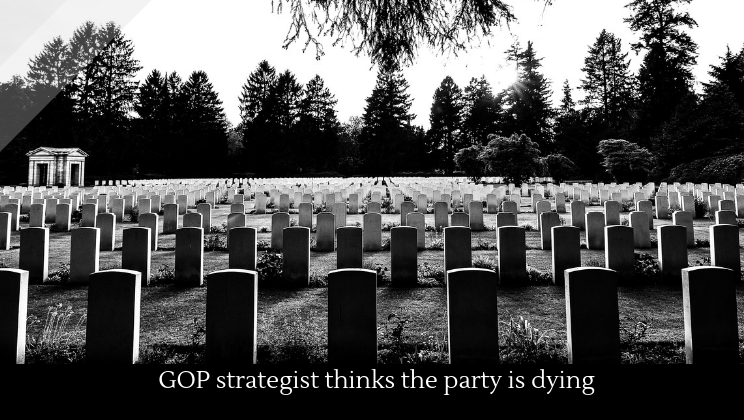 “Rest in peace,” he said, “The problem is that the Republican Party has no grounding governing philosophy anymore because they’ve signed on to all these things as I just mentioned that were antithetical to the conservative movement.” The party is now, Tyler believes, the Trump Party. It’s unlikely that Tyler would claim this is the first steps to autocracy, but others certainly do.